The Legal Road Map® podcast teaches entrepreneurs about the legal issues you might face as you grow a profitable and sustainable business, why they’re important, and how others in their shoes have handled them. 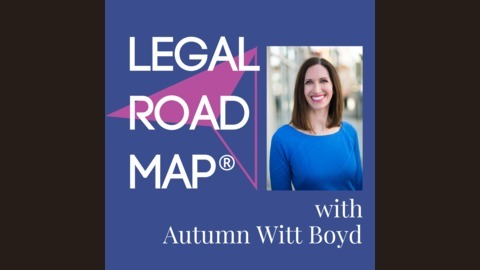 Host Autumn Witt Boyd, a lawyer for online and ecommerce businesses, features case studies of successful business owners and gives you the answers to your copyright, trademark, and business legal questions. What should you protect with a copyright or trademark? Do you need an LLC or should you stay a sole proprietor? What should you do if a copycat steals your photos or content? What’s the right way to respond to a cease and desist letter? When is using someone else’s content fair use under the law? How should you hire employees or independent contractors? What contracts should you have? What are website privacy policies or terms and conditions? 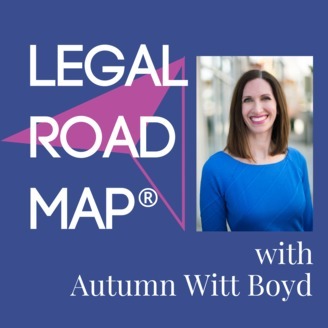 Whether you’re just starting out and haven’t done any legal work on your business, or are going through a growth spurt and want to make sure you’re covered, the Legal Roadmap® podcast is a great tool to make sure you haven’t missed any key legal protections for your business. Subscribe today and get your business legally legit. Transcripts, show notes, and more info at www.awbfirm.com/podcast. Video marketing & YouTube expert Liz Germain joins the podcast in this episode to talk with Autumn about keeping integrity at the forefront of your business and some legal lessons learned. Visit www.awbfirm.com/podcast82 for a transcript and show notes. BONUS: Head over to www.awbfirm.com/course for instant access to our brand new, free masterclass, 3 Legal Protections Your Course Business is Probably Missing, and our legal checklist for course creators (plus you'll be the first to know when new episodes are live).